I am beyond honored and excited to have been nominated by mybrandofgenius for this award. You said I cover a wide variety of topics which you found refreshing — a wonderful word to be honored with. The rules of this award are as follows: Name your nominator and provide a link to that person’s blog. Share 7 personal things about yourself. 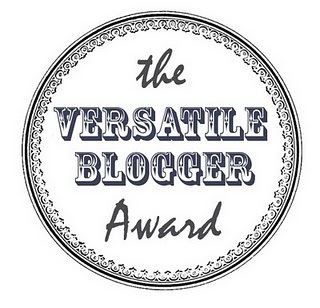 Nominate 10 other bloggers, and leave them each a note about their nomination. If I could, I would have a houseful of animals. As it stands, we have two cockatiels, two parakeets, three Boston Terriers and a horse — he is not in the house, thank goodness. I also rescue all the hurt and and ill creatures that somehow find their way to our door. I love wine, especially red zinfandel. I have BIG feet — I wear size 11 shoes. I am a VERY nervous airplane traveler. The slightest ripple and I am in the lap of the person sitting next to me, so make sure you are never that person. I learned about life and religion from the back of a nondescript little brown horse named Buzzy. I am thankful for the wisdom and understanding that has come along with a few extra wrinkles on my face, and a few bulges here and there. I am on a never-ending quest for the perfect pen, which has left me near bankrupt more than once. Thank you for nominating little old me! It is with admiration for you that I do so!